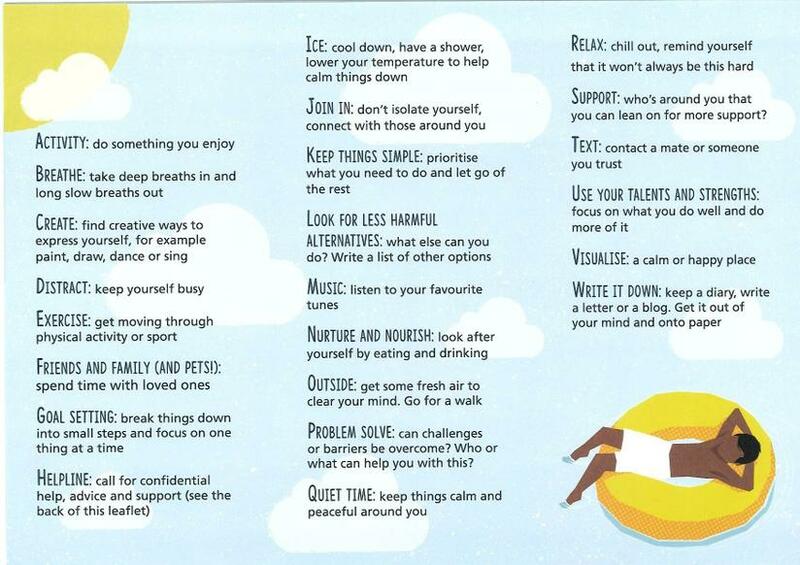 26 ideas, strategies and techniques that might help in a time of crisis, from Hampshire CAMHS. 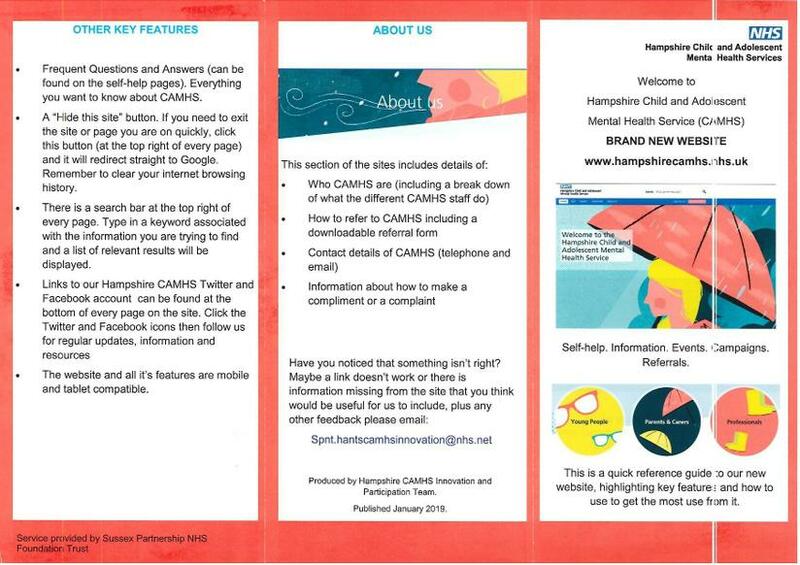 Hampshire CAMHS have a new website, with self-help, information and details of events. 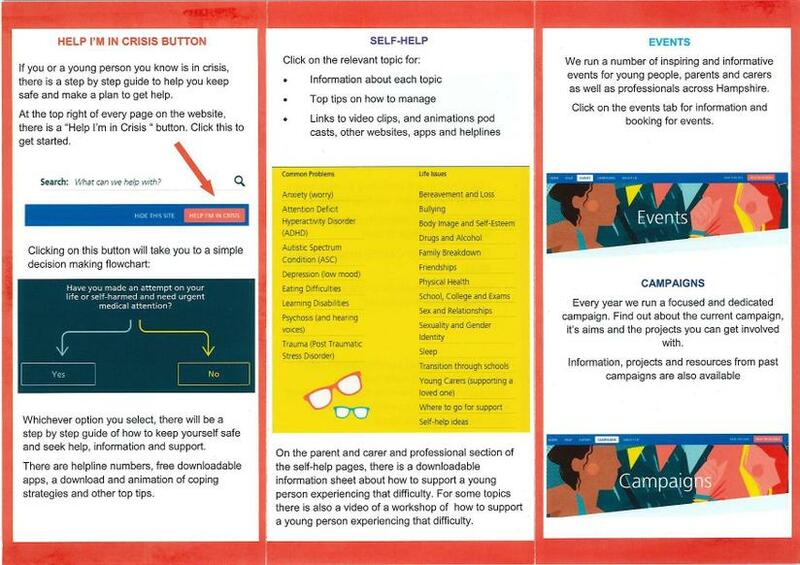 The below leaflet highlights the key features and how to get the most from using it. 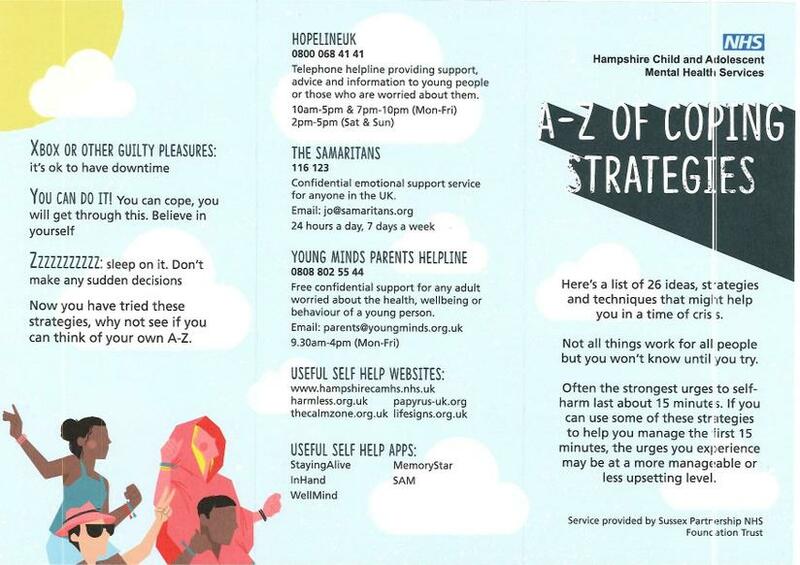 These events aim to help families better understand the needs and difficulties that young people can face and how to manage potential issues/concerns they have about their young person. 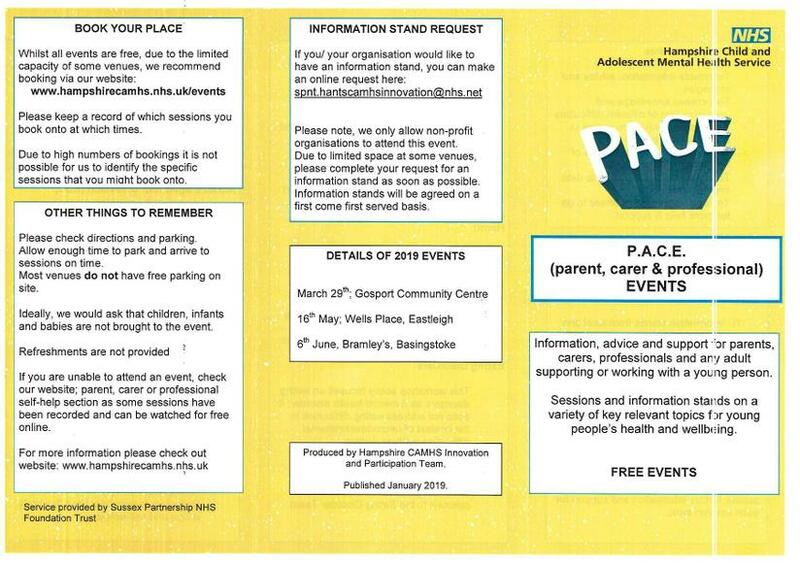 The Basingstoke event is taking place on 6 June 2019. 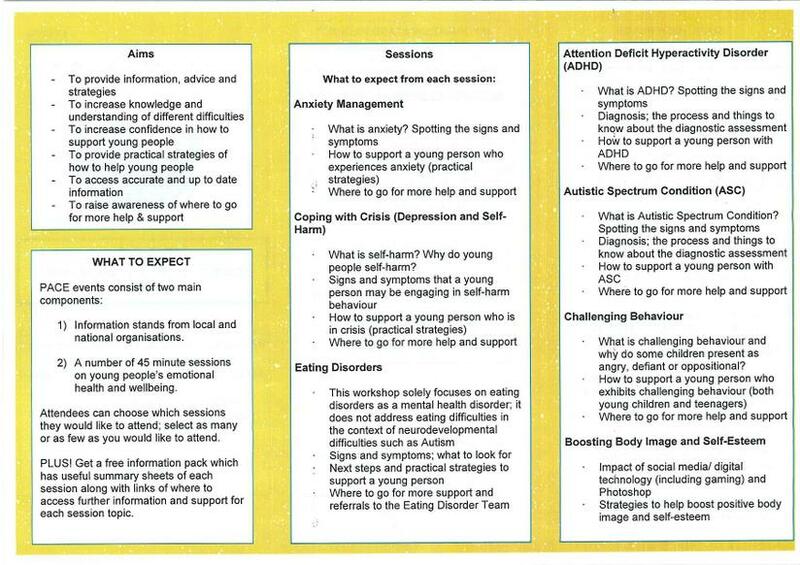 See leaflet below, or the CAMHS events website for full information. 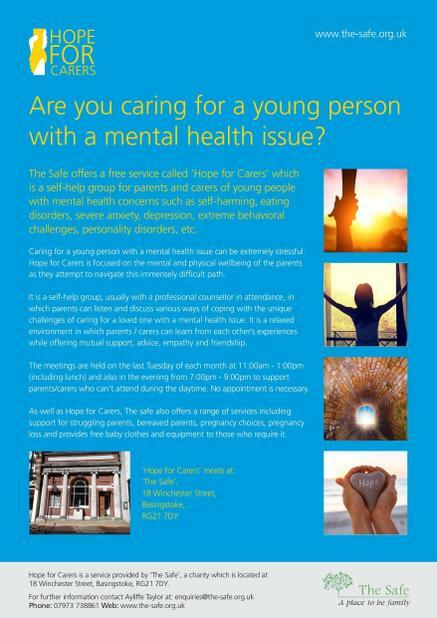 'The Safe' offers a free service called 'Hope for Carers', which is a self-help group for parents and carers of young people with mental health concerns. They meet on the last Tuesday of every month, 11am-1pm and 7pm-9pm.